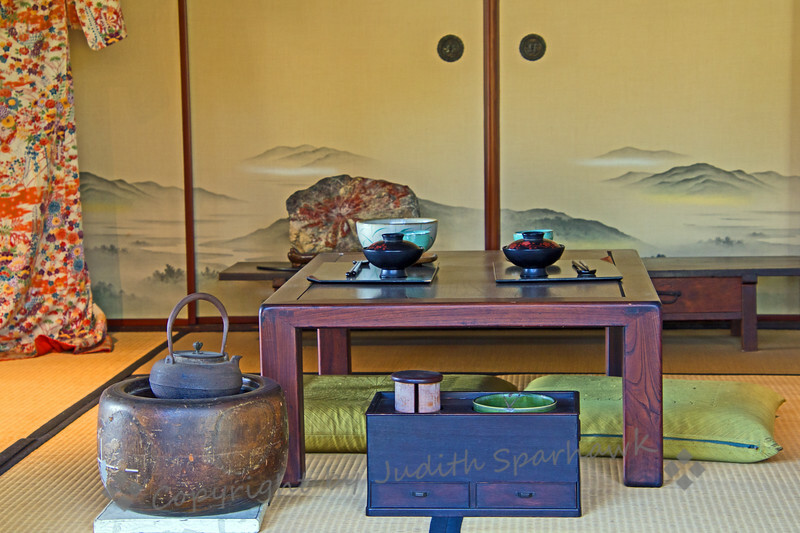 As part of the Japanese Garden at Huntington Library, there is the Japanese House. It has partially open walls, showing traditional interior rooms, viewable from outside. This is one of those rooms, showing simplicity in design and function.